The Palestinian Authority wants to create a state out of Judea and Samaria, ancient lands of the Jewish Israel, but they haven't bothered to pay their electric bill to Israel. They don't have their own electric company. Their bill is in arrears in the amount equivalent of $285 million dollars. John Kerry has said that Israel risks becoming an apartheid state if they don't talk to terrorists. He's been pushing Israel who finally resisted back. Fatah, the new PLO term for a terrorist group who said they were trying to be peaceful, hasn't been. Their tactics are just different and not overt, but very subtle and harmful. They incite violence. They teach the children in school to hate Jews and that they own Israel. They even leave Israel off their maps. Hamas continued to bombard southern Israel with missiles, mortars and rockets. The state of Israel is the ideal example of a state that has no apartheid practices. Though it's only 8,000 sq miles big with 6 million Jews and 1.7 million Arabs, religion is free for all. Nobody is telling Arabs that they have to take down mosques and that they can't be higher than a synagogue like what happened to Jews in Arab countries. Arabs are serving in the Knesset and any beautiful girl that meets the expectations can become Miss Israel. Israel will make sure nothing like that happens. Kerry was out of line to even say such a thing. Senator Ted Cruz was so upset by this unnecessary threat that he's asking Kerry to resign as Secretary of State. The USA government has sanctions on 4 terrorist countries and different Terrorist groups. Hamas and Fatah just announced another reconciliation! That did it. Israel is not going to listen to any more talks. Since Hamas is on the terrorist list and Fatah has connected to them off and on and again right now, Kerry should not be expecting Israel to deal with them when they themselves will not. " Foreign Terrorist Organizations (FTOs) are foreign organizations that are designated by the Secretary of State in accordance with section 219 of the Immigration and Nationality Act (INA), as amended. FTO designations play a critical role in our fight against terrorism and are an effective means of curtailing support for terrorist activities and pressuring groups to get out of the terrorism business." Yet Kerry agreed with most all the PA's ideas and plans and would not listen to Israel's position At the same time they have shown how inept they are in running a state by letting such a thing as an electric bill go unpaid to the very people they intend to live next door to in peace? What Israel is going to do about the electric bill is collect the money by using tax money collected on behalf of the PA (yes, they had to do the collecting, too) to offset debts owed by the PA at the end of this month. Israel will have to take more sanctions against the PA. They may not give out any more passes allowing officials to travel freely through Israel, Judea and Samaria and Gaza. Netanyahu said he will look for other methods towards peace with the Palestinians but will not negotiate with a Hamas backed government. It is Iran that backs Hamas and they intend to rub out Israel. Netanyahu doesn't want to settle for a stalemate, either. He wants 2 states for 2 peoples solution and will seek it in some other way. Israel is good at thinking outside the box, so he may have something in mind already. These Israeli-Palestinian peace talks have been going on for 9 months and were set to expire Tuesday but never made the deadline. They were suspended last Thursday after Hamas and Fatah agreed last Wednesday (4/23/14) to form a unity government within 5 weeks and to hold elections. 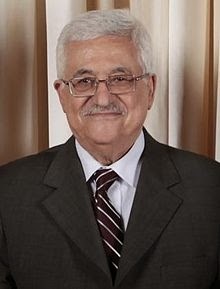 Abbas, starting his Presidency on January 15, 2005 was to be in for 4 years but has never stepped down.